We've carefully considered the different threats you might face both inside your home and out, and we've rounded up the best products to help you prepare for anything life throws at you. 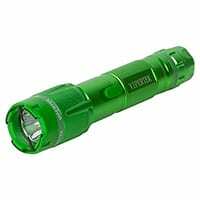 Walking alone at night can be unnerving, but having a double-duty flashlight like the VIPERTEK can help you feel safer. It’s rechargeable, and when you activate the stun gun, it makes a loud electrical crackle, which will scare off most attackers. If the sound doesn’t deter them, it can deliver a powerful—but nonlethal—shock, giving you time to get away. It looks like a normal, 6.75-inch tactical flashlight, and it comes with a handy carrying case/holster. Most home security alarms have panic buttons to send for help, but what if you need help when you’re out? 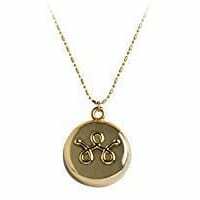 The InvisaWear Smart Jewelry pendant pairs with an app on your smartphone, and a double-click of the button on the back of the stylish pendant sends an alert to selected family and friends, giving them your GPS location and letting them know you need help. If you don’t respond to a checkup alert, the app will call 911 with your location. At less than $5 each, these small, lightweight personal emergency alarms are an affordable way for both kids and adults to stay safe. 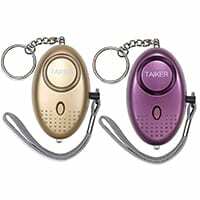 These alarms come in a variety of colors and are small enough to fit on your keychain. Just pull the cord to remove the pin and sound an ear-piercing 140-decibel alarm. Each alarm also has a handy, built-in LED flashlight. If you don’t have a security system or you know that someone you don’t trust has a key to your house, a door bar can keep your front or back door secure while you’re at home. The BuddyBar Door Jammer is one of the toughest door bars around—just wedge the 8-pound, 16-gauge steel bar under your door handle to prevent forced entry. 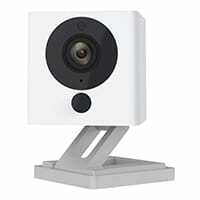 At around $30, the Wyze Cam is one of the most affordable ways to keep an eye on things at your house while you’re away so you don’t come home to any surprises. The downloadable smartphone app lets you check your camera feed from anywhere, and the two-way talk feature lets you see and talk to people at home even when you’re not there. 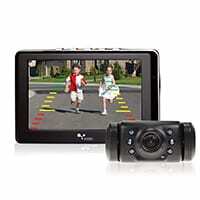 It’s a great way to watch over pets, kids, and older adults from afar. When the power goes out, you might be tempted to use your cellphone for light, but your phone’s flashlight can drain the batteries pretty quickly, leaving you without essential communication in an emergency. These mini flashlights ensure you always have a fully charged light source at the ready. 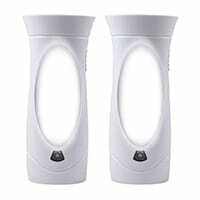 They also plug into the wall and serve as nightlights while charging, so they’re great for kids’ rooms and dark hallways. You hope you’ll never have to use this tool, but if you do ever need it, it can save your life. 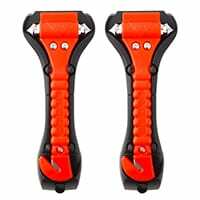 With two sharp hammers and a seatbelt cutting blade, this tool is perfect for helping you escape from a car in an emergency. It’s bright orange so it’s easy to spot, and it comes with a handy mount so you can always have it within reach. If your car didn’t come with a built-in rearview backup camera, an aftermarket product like the Yada Backup Camera is an affordable way to add this vital safety feature to your vehicle. Just mount the water-resistant camera to your license plate and connect it to your brake light power, and you’ll be able to see a 160-degree view of what’s behind you on the 4.3-inch screen. 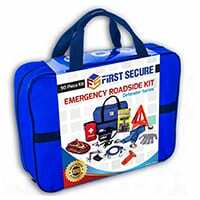 You’ll feel a lot more prepared for car trouble with this roadside emergency kit that includes all the essentials: jumper cables, an air compressor, a reflective warning triangle, a first aid kit, headlamp, and much more. Store it with some extra food and water, and you’ll be ready for any emergency on the road. 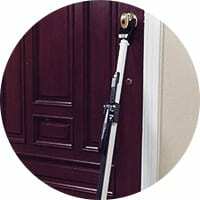 If you like to use vacation rentals for lodging, a security device like the Streetwise Door Jammer is a great security option for travel. It’s small so it’s convenient to pack, and it’s easy to adjust for a snug fit to keep intruders out. Just slide the lip under the door, twist the foot down until it’s secure against the floor, and your door will be blocked. Carrying a bulky purse or wallet when you’re traveling isn’t just cumbersome—it could also make you a target for muggers. 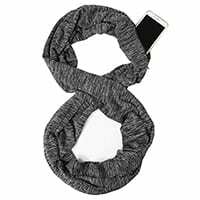 The unisex USAstyle Hidden Pocket Infinity Scarf lets you keep your passport, credit cards, and cash close at hand but hidden from view in a secret zippered pocket. Plus, the scarf is great for keeping you cozy in chilly airports and airplanes. 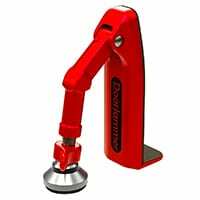 If you want to go beyond a standard door jammer and secure a door at the lock, the Addalock is a great option. 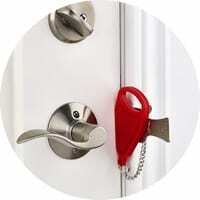 It fits between the door and the strike plate and locks in place to prevent a forced entry. It’s small and lightweight, and it even comes with a handy carrying case for travel. It doesn’t require strength or kneeling to install, so it’s good for all ages. Even though you certainly hope the worst won’t happen, it’s a great feeling knowing you’re prepared if it does. Check out the Safewise Resource Library for more ideas on how you can keep you and your loved ones safe.